(Jan. 23, 2013) -- The UTSA Office of Student Financial Aid and Enrollment Services will host the fourth annual Student Aid Saturday event from 10 a.m. to 1 p.m., Saturday, Jan. 26 in the Business Building Computer Lab (2.01.20) at the UTSA Main Campus. Free and open to the general public, the session will provide one-on-one counseling and computer access to file the FAFSA (Free Application for Federal Student Aid). Student Aid Saturdays is a partnership of the San Antonio Education Partnership, Generation TX and SA2020, and is managed by the Greater San Antonio Chamber of Commerce. There is a direct correlation between students who apply for financial aid and then go on to college. Student Aid Saturdays helps San Antonio achieve SA2020 goals of college readiness, high school graduation and college enrollment. SA2020 is a community-wide effort to transform San Antonio into one of the nation’s great cities by the year 2020. The initiative aims to achieve its goals through programs to enhance arts and culture, safety, downtown development, economic competitiveness, education, family well-being, health and fitness, government accountability and civic engagement, natural resources, and environmental sustainability, neighborhoods and growth management, and transportation. Café College, 131 El Paso St., San Antonio, Texas, 78204 is a one-stop counseling service center in downtown San Antonio that provides college admissions, financial aid and general advice for students seeking to attend college. 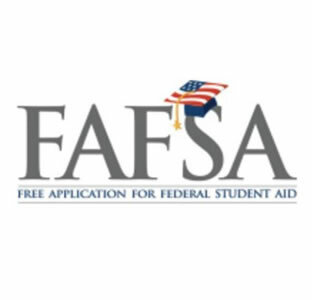 For more information, visit the UTSA Financial Aid website.